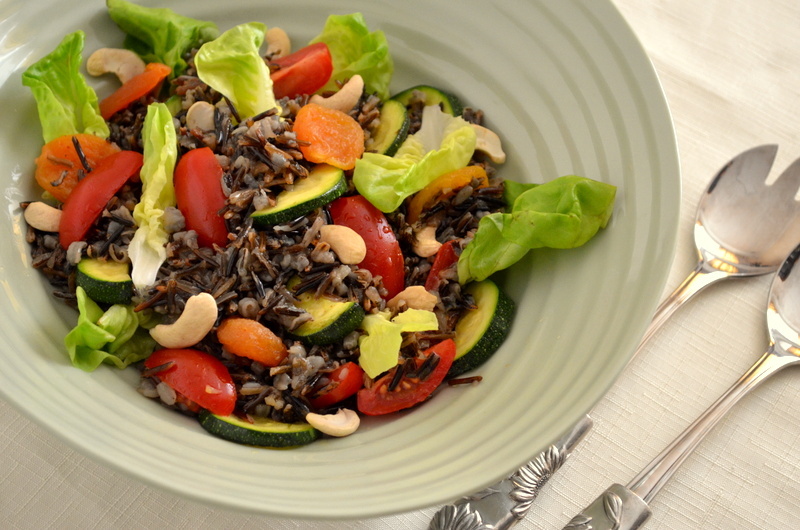 Summer is around the corner and this wild rice salad is a new addition to my summer menu! Rice was not considered a salad ingredient when I grew up in South India. It was a staple food we ate every day with different curries and side dishes. Yet when I first tasted wild rice salad at a potluck party in Japan, I was instantly in love. I made it a couple of times after that and completely forgot about it until recently, when I saw a sack full of wild rice at the Whole Foods store in South Kensington. I couldn’t resist picking up a small bag of it! Pre cook the dry wild rice in plenty of salted boiling water until it is slightly tender and has just popped open. Drain and let it cool before combining it with the other ingredients and the dressing. 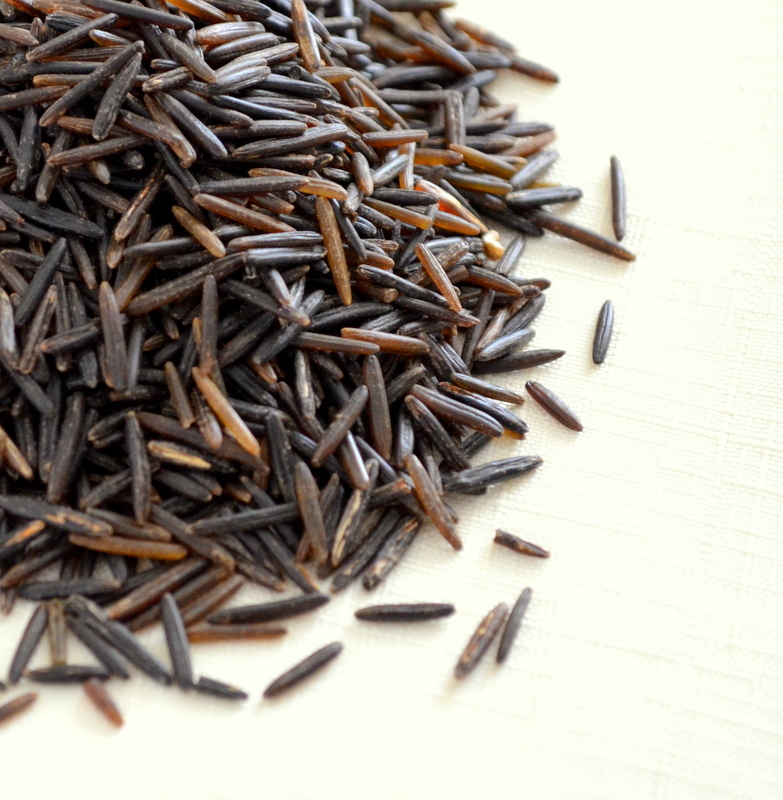 What makes wild rice perfect for a salad is the combination of its slight chewy texture with the nutty aftertaste. Since it is a wholegrain, it is rich in dietary fibre, protein and other vitamins. Nutritionally it appears to be an all round winner! I mixed it with dried apricots, cashew nuts, cherry tomatoes, courgettes and lettuce leaves just because those were what I had in hand; you can use any vegetables, dried fruits or nuts of your choice. Cook wild rice in plenty of boiling salted water for 25-30 minutes until it is cooked. Drain and leave it to cool. Whisk all the ingredients for dressing until it is well blended. Toss it with cooked cold wild rice and vegetables.